The 2014 FtSRC was the only challenge I accepted this year. I did ok but didn’t quite reach my goal of completing 3 series. 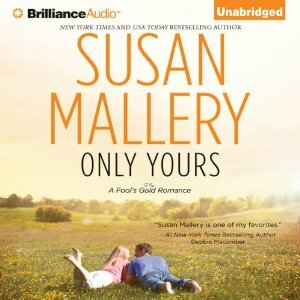 I finished the Grace Valley series by Robyn Carr and I’m up to date in Susan Mallery’s Fool’s Gold series. The links take you to the challenge page here on the blog. Scroll down to see my results. Thanks to Yvonne for hosting. I haven’t decided if I’ll formally join the 2015 challenge. I may check in on the Goodreads FtSRC challenge page. I decided 2014 is the year for me to catch up in the Fool’s Gold series. My take: The synopsis tells you what you need to know about Only Mine. I liked Dakota and Finn’s story a lot. They are a good match. Life has forced the two to give up on certain dreams. Can they find even better dreams together? I enjoyed finding out! The minor characters had fun story lines which made the book even more entertaining. As usual, Tanya Eby did a nice job with the narration. Her performance always adds to the story. My take: The mayor of Fool’s Gold wants Montana Hendrix to convince Dr. Simon Bradley to put down roots in Fool’s Gold. The hospital needs more good specialists like him but he has no interest in staying in one place for long. He wants to travel the world performing surgery on children who wouldn’t normally have access to world-class care. He’s also running from any emotional attachments and will not let the likes of Montana Hendrix become a reason to stay. They hit it off but then it becomes more serious and Simon is scared by his feelings for her. Will he be willing to rethink his future? 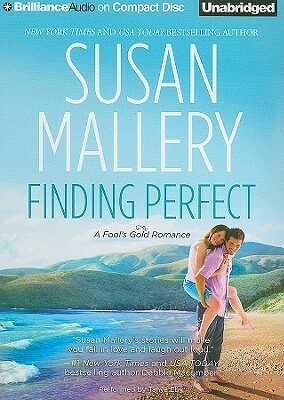 I thought Susan Mallery wrote a touching story and Tanya Eby’s performance was just right. Synopsis: Wedding bells are ringing in Fool’s Gold, but not for Nevada Hendrix. Her triplet sisters are engaged, and even her mother has a more active love life than she does. Determined to make a fresh start, she applies for her dream job, only to discover that her new boss is her first love. Maybe she could overlook the fact that they’ve seen each other naked, but she’ll never forget the way he broke her heart. My take: This book was all over the place but nonetheless entertaining. I enjoyed Nevada and Tucker’s story. They have an uncomfortable history but are intent on getting past that. The connected story lines were interesting (Jo’s secret is revealed) and wacky (Cat, the artist who was Tucker’s former lover). Add to that Nevada’s mother who reconnects with her old boyfriend and you’ve got an entertaining book. Tanya Eby’s narration was spot on with all the voices. My take: So the only reading challenge I joined this year is the 2014 Finish the Series challenge and the Fool’s Gold series is first on my list to finish. 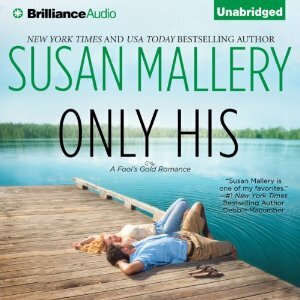 Trouble is Susan Mallery keeps adding to the series! Good thing I’ve enjoyed all the books I’ve read so far – I don’t mind knowing there are a lot to be read. This is the third book but I don’t think you’d miss much by not reading the previous books. That said, the first book introduces the reader to the town and that’s worth reading! The frozen embryo inheritance aside (I mean, really?! ), I liked this book a lot. I found Pia and Raoul to be both charming and sympathetic characters. If Pia wasn’t so nice and good-hearted she’d come off kind of flaky but we find out she has grown through her experiences in life up to this point. The same could be said for Raoul. Both have been deeply affected by people disappointing them and/or leaving them. So they need to get past the inclination to not commit. Enter one sweet little boy who makes them reconsider everything including their definition of home and a perfect family. I enjoyed Tanya Eby’s narration. Her rather staccato performance of Pia added to the kind of flaky impression I had of the character. She also did a nice job with Raoul’s voice and young Peter’s as well as those of the supporting characters. 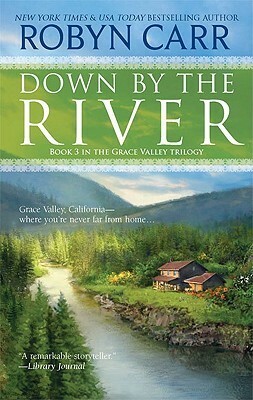 My take: The publisher’s synopsis perfectly describes this final book in the Grace Valley trilogy. I enjoyed all three books that cover the arc of June’s journey from a single, thirty-something, overworked small town doctor to a life she hadn’t expected. 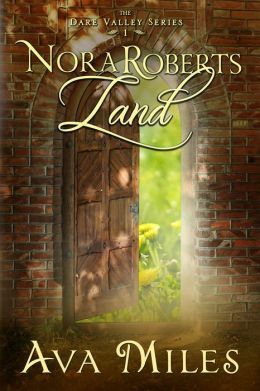 Robyn Carr wove threads of minor story lines through June’s story that enhanced the novel. Grace Valley is populated with people down on their luck, people of means who share unselfishly, and regular, flawed people just doing their best to get by. As this is the last book I’m going to miss them all. As usual, Therese Plummer’s narration was perfect for the book. I always enjoy her performances. 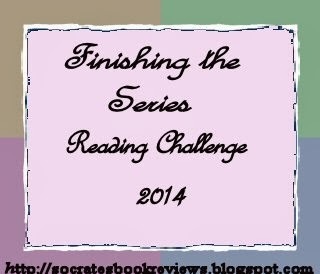 This is the first series I’ve finished for the 2014 Finish The Series Reading Challenge! 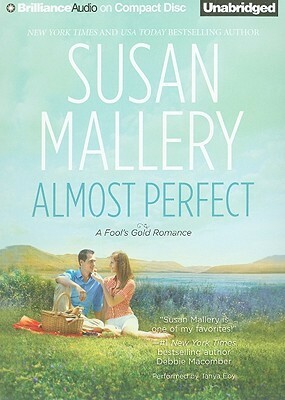 My take: Almost Perfect is the second book in the Fool’s Gold series. I’ve read a few books out of order but I’ve found they can stand alone and I always enjoy my visits to Fool’s Gold. I thought Tanya Eby did a fine job with the narration. I liked Liz. She’s an author who really doesn’t want anything to do with the town where she grew up. When she’s called home to Fool’s Gold for a family matter she drops everything and returns. 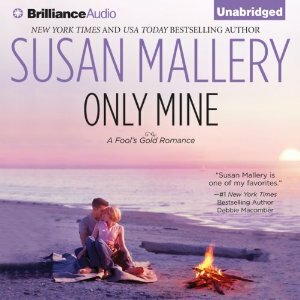 Once there she deals with more than the family matter – she sees Ethan and stuns him with her news. I found Ethan not very likable. I get why he’s upset but he was kind of a jerk through most of the book. 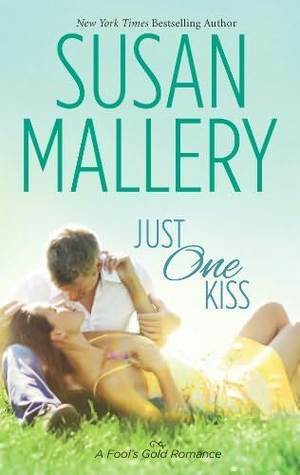 Susan Mallery’s story held my interest throughout. I had to see how Liz and Ethan would find their way to a happy ending. Woven into the main story was the thread about Liz’s nieces who’ve been abandoned by a stepmother. They depend on Liz to save them. Familiar characters from the first book make appearances and, along with a few new ones, set the reader’s expectations for future books.